Scott Mory is Carnegie Mellon University’s vice president for University Advancement. 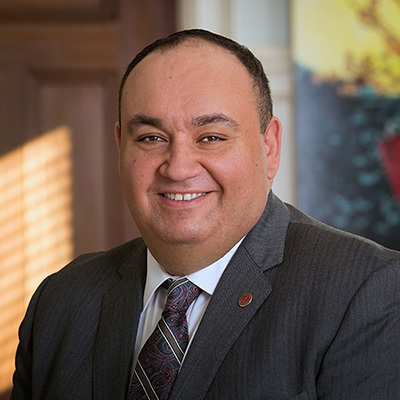 He is responsible for overseeing the university’s overall advancement efforts and for building partnerships with all of CMU’s philanthropic and volunteer communities, including university alumni, parents and friends; charitable foundations; and corporate donors. Appointed in 2015, Mory works closely with administrative and academic leadership to develop advancement plans and resources to fulfill the university’s potential and support its continued ascent. He also leads the Advancement Committee of the Board of Trustees. One of his initial accomplishments was creating a framework of chief development officers in each college. Prior to joining CMU, Mory served as associate senior vice president and campaign director at the University of Southern California, managing the day-to-day activities of the Campaign for USC, a historic effort to raise $6 billion. He joined USC in 2007 as associate senior vice president for Alumni Relations, a position he held until his promotion to campaign director in 2012. Prior to USC, Mory served as assistant vice president for Alumni Relations and Annual Giving at George Washington University. He also was an adjunct professor in the university’s law school, teaching a first-year course on legal research, writing and oral advocacy. Mory‘s previous professional experience includes clerking for the Hon. John Garrett Penn of the U.S. District Court for the District of Columbia and practicing as a litigation associate at the New York office of Cahill Gordon & Reindel LLP. Scott holds a bachelor’s degree from the George Washington University and a doctor of jurisprudence from the George Washington University Law School.